This quick update switches My Playbook over to offseason mode. Don't worry though, FantasyPros and My Playbook will continue to be your source for fantasy football player news and analysis throughout the offseason and leading into the 2019 season. 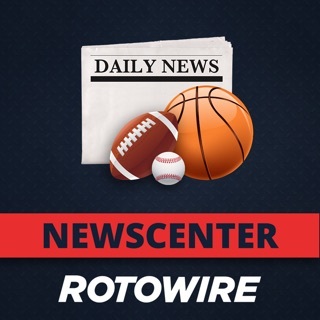 You can also get our free Draft Wizard app and start your draft prep early with quick 2019 mock drafts. Admittedly, I was pretty unhappy with this app being changed in the middle of football season (as opposed to during the off-season). And my feelings about losing the ability to rank players by filtering experts? Well, those feelings ranged somewhere between “quiet—yet dignified—disappointment” and “apoplectic rage”. But here’s the thing: these developers actually listen to their customers. The expert ranking issue? Fixed by the very next DAY (on a Sunday, no less). To me, that kind of responsiveness is not only impressive—it is also more than enough to cancel out any misgivings I originally had about the app, and “My Playbook” is once again very much deserving of its 5-star ranking. I’d also say that these folks have earned a bit of trust with the way they’ve handled this, so if an update glitch or temporary omission occurs in the future, I will be a lot more patient. Sorry for underestimating your customer service team, FF Pros—thanks for all you do. Thanks for the feedback. We just sent out an update to the app that should make the yours/taken/available players much easier to see. Additionally the pick experts functionality has been added back in. Please let us know what you think about the new update. Good app for fantasy. Ambitious upgrade to app. App feels smooth and is a good way to stay up on news/info and manage your fantasy league(s). I’m confused as to why I need to see a power ranking blob when I open the app. Can this be hidden or little-ified? If it remains bigified, could it be moved beneath the analysis area (or customized to be lower or gone)? I’m not seeing value in seeing a large picture of a particular player for news. I would be prefer maybe a small picture beside the headline. I miss (or can’t find) a way to filter my team against others when looking for a trade in the players rankings. When selecting experts, I don’t know if there’s a way to unselect all experts. I’ve been going to top 10 and manually unselecting. Would dig a way to select “trade for” from the player’s stat page and have that drop me in the trade analyzer with my roster and the other team’s selected. Is there a way to customize experts being used for the waiver assistant? Game Day is a great feature for tracking the games but is currently tucked away in a semi-intuitive Tools tab on the More menu. Does this (or can this) show up at the top of the app when you open it during live scoring? Thank you for the excellent and detailed feedback. We are taking everything you've stated into account and will do our best to accommodate (seriously, our team is discussing your post right now). Please feel free to contact us via our support team at http://bit.ly/fproshelp. We'd love to continue the conversation with you. To be fair, I enjoy using this app/website to help manage multiple fantasy leagues I’m in. However, if you’re able to import your team(s), it’d be nice to import the league scoring settings as well so that your suggested rankings, cheat sheets, etc are tailored appropriately. Without importing custom scoring rules, your outputs are inaccurate. Then on the rankings tab on the app, there’s an option to filter between standard vs PPR, available players, taken players, etc but those settings don’t stick. You have to filter each and every time which is a pain in the Butkus when you have to toggle between 6-7 fantasy leagues each week.